ISO 9001 was the first certification we recieved in 2000, thereby certifying our entire operation according to an international standard for quality. There are other many other certifications and 1st's we have achieved along the way. Life Data Labs became an ISO 9001 certified company in 2000. ISO (International Organization for Standardization) was established in 1947 and is headquartered in Geneva, Switzerland. The ISO organization promotes the development of standardization and related world activities to facilitate the international exchange of goods and services. This kind of certification is recognized worldwide as a mark of excellence. Life Data Labs is one of the first feed supplement manufacturers of its kind to attain the certification and joins only 10 percent of U.S. manufacturing operations that have registered their Quality Management System to ISO 9001: 2008. 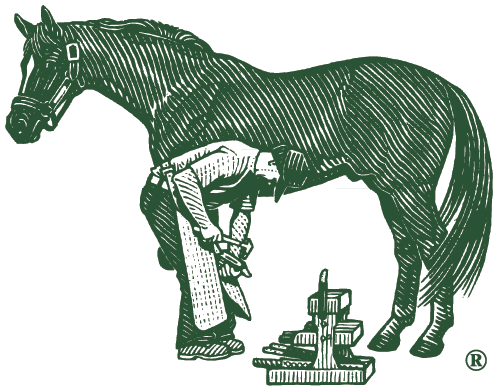 Farrier's Formula® was the first hoof supplement to be independently tested at a university and commercially marketed. It is the only nutritional product of its kind that has both specific field research and independent university research standing behind the name. It was a challenging product to market because it was the first of it's kind and more specifically, because of the lack of information in the horse industry that one could improve the hoof quality through nutrition. During the early years of marketing the product Dr Gravlee received calls daily from customers who wanted to know "how often to rub those little green pellets on the foot" We now find this comical, but the quote emphasizes how dramatically Dr. Gravlee helped revolutionize the industry with the approach of "feeding the hoof". First to incorporate Lot Tracking. In fact, we can actually determine which batch of each raw ingredient was used to produce the pellets that are in your specific bucket. First to print an Expiration Date onto the bucket. First and Only to Produce a Vacuum-Packaged Nitrogen-Purged Refill Pack. #1 Recommended Hoof Supplement by farriers for 12 consecutive years. The study is performed by the American Farriers Journal.